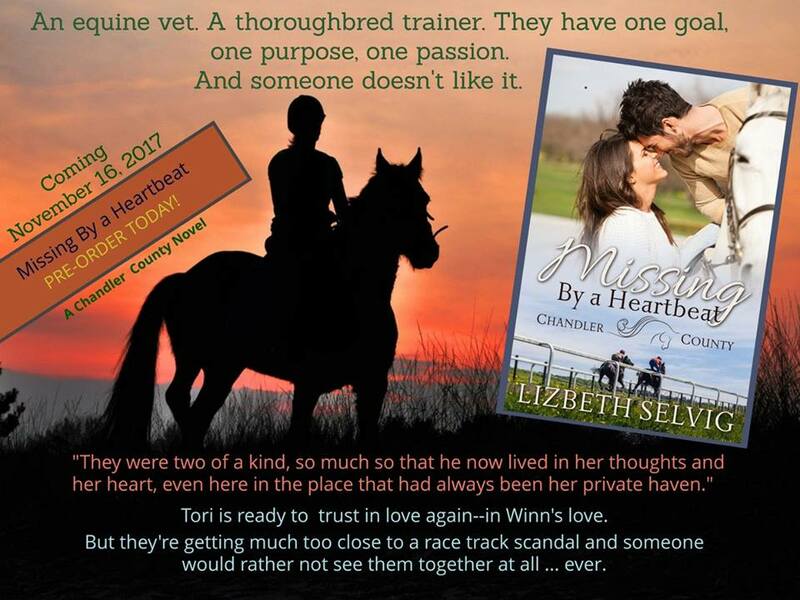 Blurb: Dr. Victoria âToriâ Sterling is one of Kentuckyâs youngest equine veterinarians, but she knows her way around race horse injuries better than vets with twice her experience. Scrupulously honest in a world where rule-bending is normal, Tori has fought to earn her reputation. Sheâs also learned the hard way that her animal-focused lifestyle is too hard for any man to understand much less shareâso she wastes no energy looking for love relationships. Trainer Winton Crosby has finally made it to his dream destination: the venerable Churchill Downs. With a gift for getting the best from his horses, his goal is to reach a big stakes race. Itâs no easy task, however, when every member of his young staff has a record. But Winn was once a troubled teen, and along with his love of horses, he loves âhis kidsâ and will do anything to help them succeed as he has. Winn knows immediately he wants Tori Sterling on his side. Sheâs straight-talking, funny, smart, and passionate, and she makes his ever-restless spirit feel like itâs found home. But when a Derby-bound colt is targeted by a saboteur, and illegal acts mount up on Churchill Downsâ backside, Winn and his stable of misfits are prime suspects. 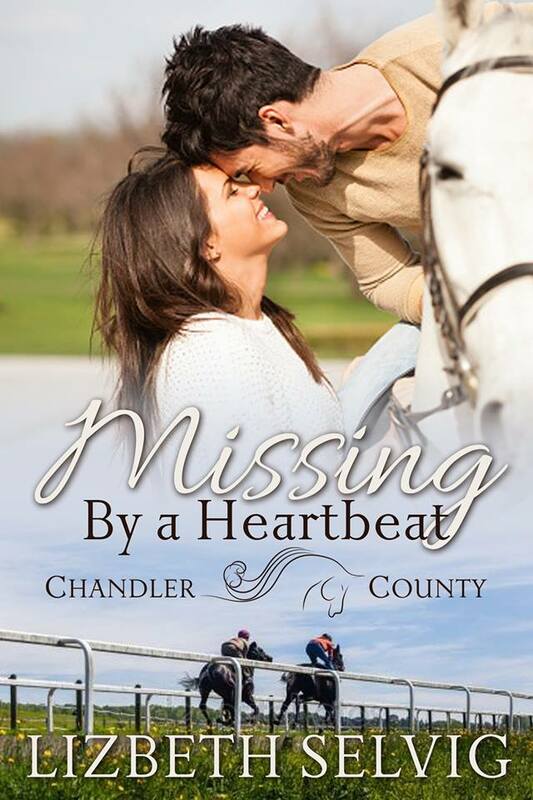 He must convince Tori heâs not behind a tangled web of sabotage and a strange horse doping scandal. Tori finds herself in a partnership with Winn thatâs half detective team and all unexpected passion. But theyâre soon racing against time. Someone is desperate to eliminate Tori and Winnâs investigating any way possible, and the two have to find out who before both of them lose their careers, their lives or, worse, their chance at love. 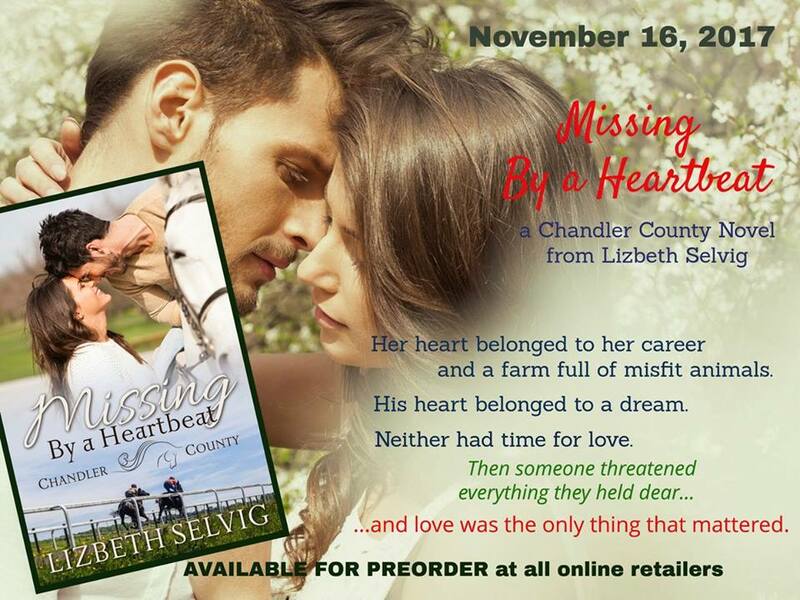 Award-winning author Lizbeth Selvig writes heartwarming contemporary romance. Whether set in a small town, on a huge western ranch, or at a Kentucky racetrack, her strong, fun and funny characters donât mind poking at societal norms even while theyâre finding their ways home to family and love. 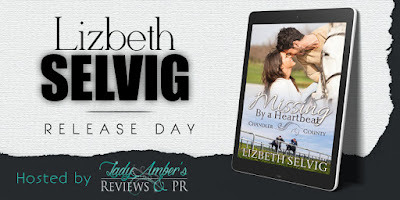 Lizbeth turned to fiction writing after working as a newspaper journalist and magazine editor, and raising an equine veterinarian daughter (handy, since there are usually too many horses in her stories) and a talented musician son (also handy because sheâs been known to write about rock stars). 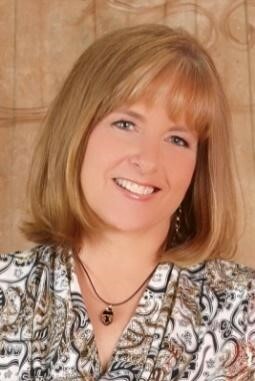 She shares life in Minnesota, where her first book series is set, with her best friend (aka her husband, Jan), an under-ridden gray Arabian gelding named Jedi, two human grandchildren, and her four-legged grandbabies of which there are over twenty, including a wallaby, three alpacas, a mammoth-eared donkey, a miniature horse, a pig, five dogs, six cats, and seven regular-sized horses (pics of all appear on her website www.lizbethselvig.com). In her spare time she loves to hike, quilt, read, and horseback ride. She also loves connecting with readersâso feel free to contact her any time! 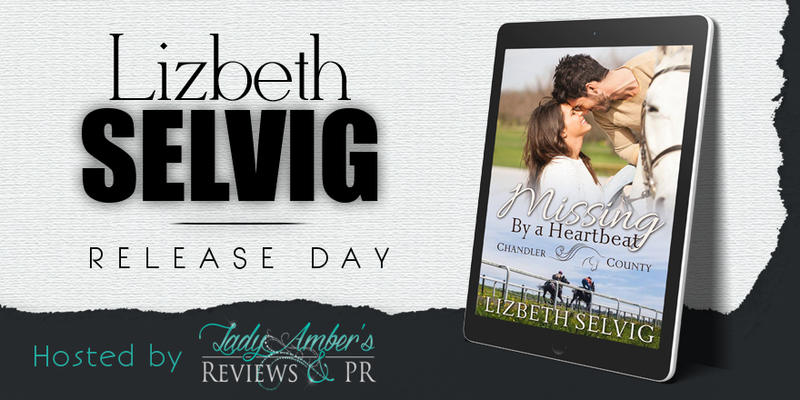 She started to turn toward the track once more when her breath caught with unprofessional abruptness at another figure emerging unexpectedly from the clubhouse. Winn Crosby? She frowned as her heart both sank and skipped a beat at the same unpleasant moment. What was he doing here? He sauntered toward the rail wearing no expression other than one brow quirked in a question, as if heâd come across the gathering by chance. Except that no trainer simply happened upon 6:00 a.m. work outs. Even a trainer as new as Crosby had too much to do every morning to wander trackside without horses of his or her own to watch. Tori and Armand had scheduled the inside rail with the timers for Sunspot and Blue Moon, the companion horse chosen to pace him. Winn Crosby had no horses working out, and zero reason to be here. Unless it was simply to decorate the place. Which, she had to admit, he did to perfection in his scruffed beard, rich cocoa-eyed, six-foot-four, insouciant kind of way. She blew her breath out in frustration. Since Winton Crosbyâs arrival in Louisville about six weeks ago, every college-aged woman working as a groom had turned moony-eyed with the longing to work for him. And every female horse owner, no matter how liberated, now joked about switching trainers. Tori considered herself unflappable, but this guy raised the heartrate of every All-American girl with a pulse, and there wasnât any use denying it. Fortunately, even though heâd been seen on race days rocking a newsboy cap to masculine perfection, he had a reputation of being aloof and silentâa man of few words and fewer smiles whose world consisted of horses and not much more. Tori respected, the horse part. Sheâd been born, however, into a people-loving state of extroversion she couldnât alter, and it grated on her very soul to meet humans who couldnât be bothered to act friendly. Winn Crosby might bring out the worst in her pulse rate, but he didnât interest her beyond his role as window dressing.